These days Android phones are owned by just about everyone and used to do so many things from checking your bank account to logging into Facebook. Because there are so many Android devices in the world being used every day it is important to think about how to secure those devices not only from malware but from physically having someone take your phone a steal your private data. 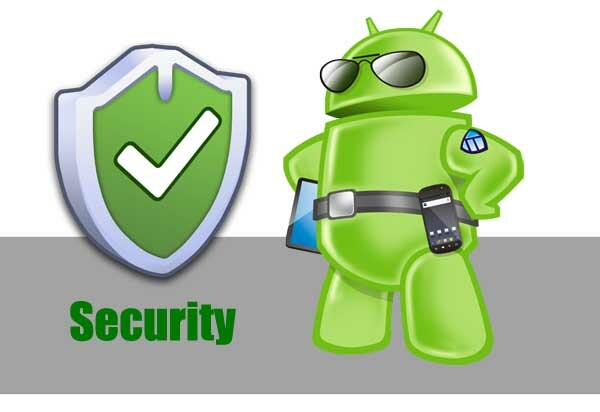 There are several things you can do to protect yourself and your Android device and they include downloading security apps, and changing security settings on the device. Lookout is one of the best free security apps available, it provides complete scanning of installed apps as well as a backup feature that will help you recover your files and contacts. Lookout will scan you phone periodically to look for new malicious apps or files. Once you create an account you can then log into your account at mylookout.com from any phone or tablet and you’ll be able to do several things; including contact management, locate lost devices and remote lock and wipe. In fact, you can even access your phone as if it was never lost or stolen and pull up photos and contacts. Lookout also allows you to find your missing phone’s location on a Google map. If you believe your phone was stolen you can make your phone “Scream.” Sound a loud alarm even if it is on silent or vibrate mode. Lookout offers a wide range of services for free and is an app to get and sign up for all your devices and will make a lost phone easier to find and a stolen phone able to wipe all data or help the police recover your phone. Even though all these features are free you can get even more if you purchase a premium plan from Lookout. Premium features from Lookout include privacy adviser to protect your privacy while on your Android device. Also included with Lookout Premium is a web browsing protector which will popup an alert if you are trying to go to an unsafe website. Also Lookout Premium comes with additional features if you are not able to get your phone back you can lock or wipe it from another phone quickly so that no one else can access the data on your phone. 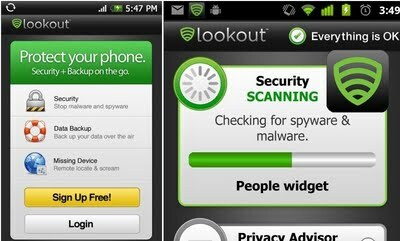 Lookout Premium plan is $2.99 / month or $29.99 / year which is a good deal when it comes to protecting your Android devices and if you think you want to Premium services then you should upgrade.